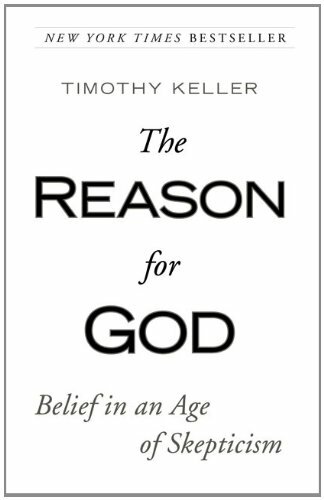 Using literature, philosophy, real life conversations, and potent reasoning, Keller explains how the belief in a Christian God is, in fact, and sound and rational one. I’ve read many of the popular books on apologetics, starting back in the 1970s with Josh McDewell’s More Than a Carpenter and Know Why You Believe, by Paul E. Little. They all provide sound doctrine. But Keller seems to have a new way of explaining things that resonates with our contemporary culture. Perhaps that’s because he pastors a vibrant and growing church that he planted right in the middle of Manhattan. New York City isn’t the easiest place to start a church. As the book’s introduction puts it, the city is “filled with young singles and ‘nontraditional’ households, … the sophisticated and hip, the wealthy and the poor.” I realized as I read, however, that this challenging population has the same questions as the rest of us. And Keller gives some of the best answers I’ve encountered. Let me give you an example. In the chapter on “How Could a Good God Allow Suffering?” Keller makes the assertion that “Evil and suffering may be (if anything) evidence for God.” Seriously? I’ll let you read the book to see how he supports this idea (hint: he uses an argument first proposed by C.S. Lewis in Mere Christianity) but his explanation made a huge amount of sense to me. Part Two of the book offers “The Reasons for Faith” and a carefully worded section on how to become a Christian. Again, he does an outstanding job of laying out orthodox beliefs in a kind, clear and compelling fashion. I was also impressed by Keller’s use of material from a wide variety of sources. Everything is carefully footnoted and cited, with additional comments at the end of the book. As I mentioned above, I’d love to give this book to all my unbelieving friends. However, in most cases it’s likely that it wouldn’t be well-received, and I can’t force them to read it. Instead, I’ve done the next best thing. I read the book myself. That way, I’ll know just what to say when these issues come up. I just hope I can remember enough to explain things half as well! This entry was posted in Book, Faith & God and tagged apologetics, belief, book, Christianity, doubt, faith, questions, reasons, review, Timoty Keller. Bookmark the permalink.